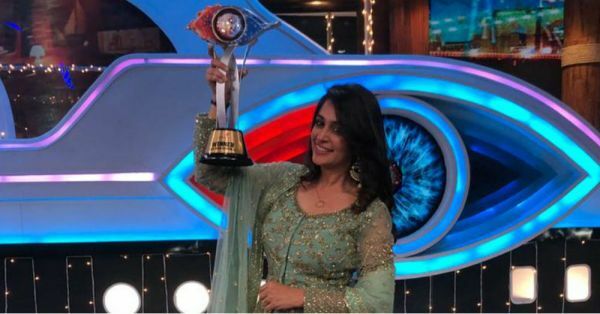 After more than 100 days inside the Bigg Boss house, Sasural Simar Ka star Dipika Kakar was declared as the winner of the show's 12th season last night. 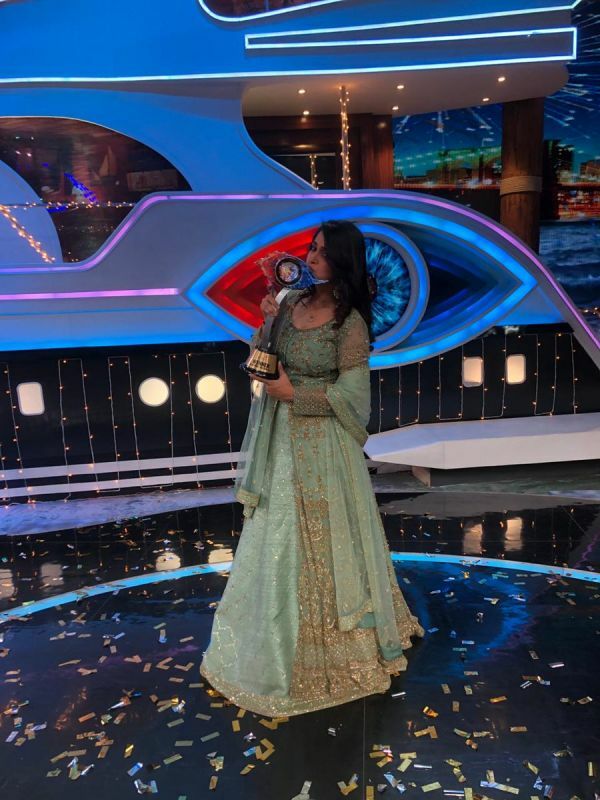 Host Salman Khan made the announcement amidst intense drama as Dipika went up against long-time ally Sreesanth in the finale. The actress claimed the grand prize of Rs 30 lakh, while former cricketer Sreesanth took home the runner-up award. The last episode of Bigg Boss Season 12 was a culmination of over three months of action and drama. 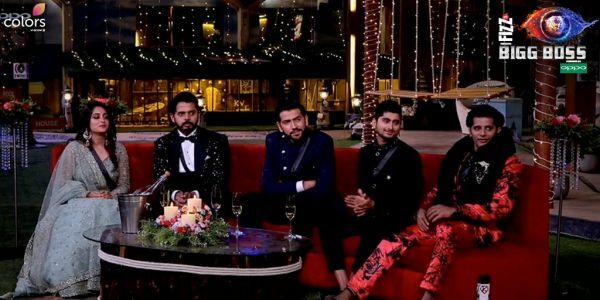 The evening began with Dipika and Sreesanth joined by Romil Chaudhary, Karanvir Bohra and Deepak Thakur as the top five contestants. Bigg Boss congratulated the five on their achievements and they even popped open a bottle of champagne to celebrate the moment. Bigg Boss then announced that Romil and Karanvir were eliminated, while the remaining finalists - Dipika, Sreesanth and Deepak - were given the option to drop out and take home a Rs 20 lakh prize with them. As the suspense heightened, it was Gangs Of Wasseypur singer Deepak who pressed the buzzer and chose to give up his spot. Deepak's exit money was reportedly the highest among all previous exit money offered to Bigg Boss contestants across all seasons. Read the full list of winners here. It was only fitting that Dipika and Sreesanth share the top spots on the Bigg Boss podium after the season they had. Their relationship was a mixed bag of love and hate, and their chemistry and friendship made fans root for the two. As Salman made his way into the house to declare the winner, the anxiety was evident. Dipika was later spotted outside her residence in Mumbai, where she received a grand welcome following the news of her win. Dipika was so happy that she mentioned she was unable to express her joy. "The feeling that follows after being declared the winner of Bigg Boss is something that I cannot put into words," she reportedly said. 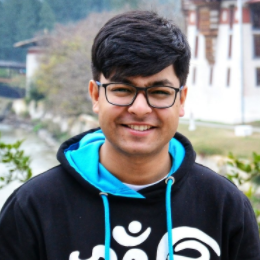 "Tackling the various situations that I have experienced inside the Bigg Boss house has given me a lot more confidence to go back and continue being who I am." Among the highlights of the finale were the spectacular dance performances led by Salman and the show's contestants. The actor diffused the tension as he shook a leg with Dipika and Sreesanth to some of his popular numbers. Meanwhile, Dipika and Sreesanth had their own performance as they danced to the songs Yeh Ladka Hai Deewana and Tu Jo Mila. The show also had special cameos by comedian Bharti Singh, Simmba director Rohit Shetty and singer Aditya Narayan. Bharti also hilariously managed to steal the limelight from the top two contestants for a bit when she joked about proposing to Salman. Additionally, the dance-off between Romil, Karanvir and Sreesanth was thoroughly entertaining and fit the situation as the three tried to outdo each other. Deepak and Somi Khan also participated in the dance performances with a separate romantic routine.